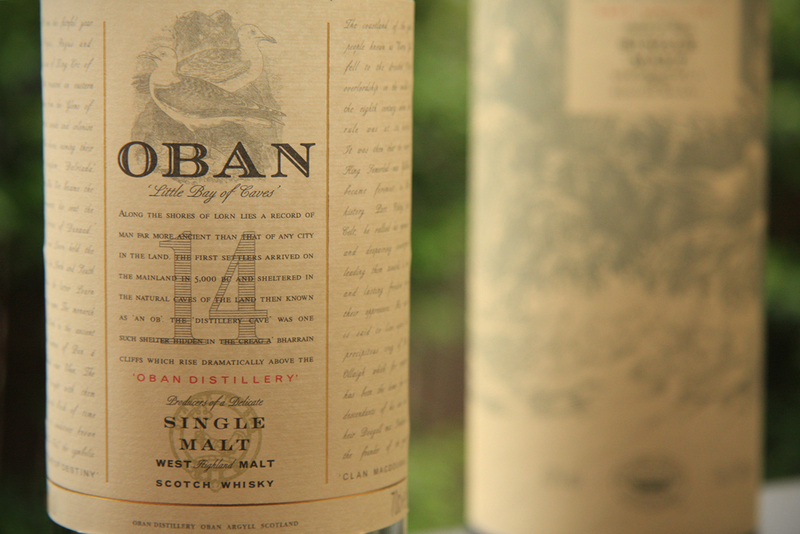 Nestled in the Scottish western highlands in a little coastal town sits one of Scotland’s oldest distilleries, Oban. 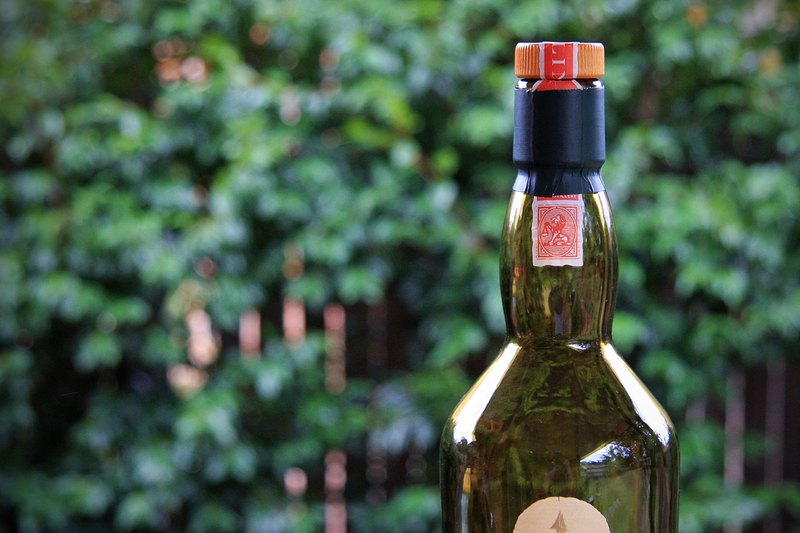 Built in 1794, it also operates two of Scotland’s smallest legal stills. 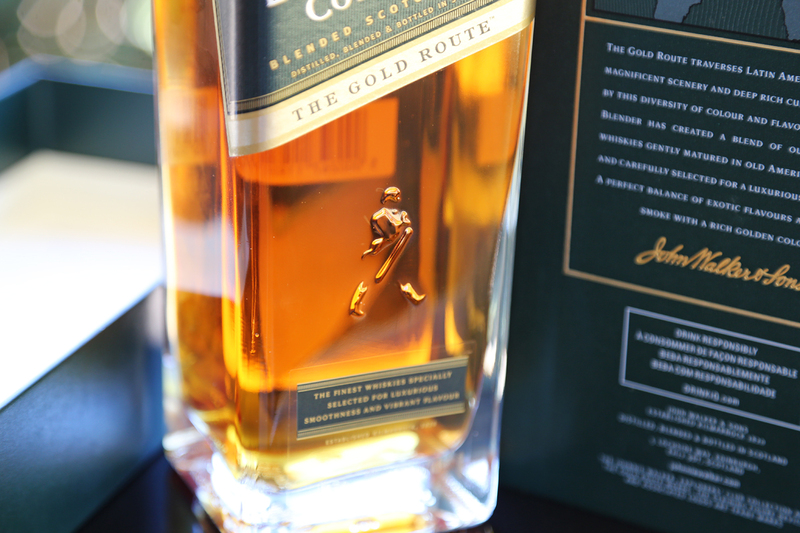 Interestingly, the town itself was named after the distillery. 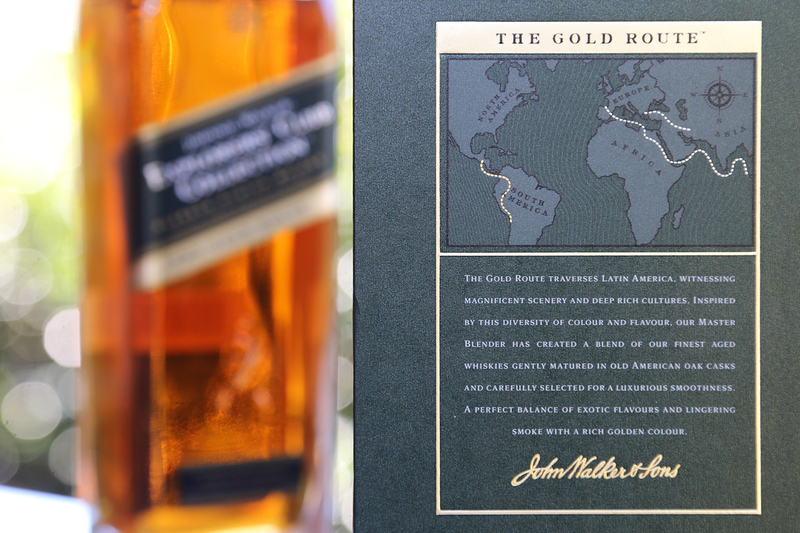 The artwork on the packaging pays homage to Oban’s location with a neat intricate line illustration of a coastal cliff scene – almost reminiscent of a tattoo. 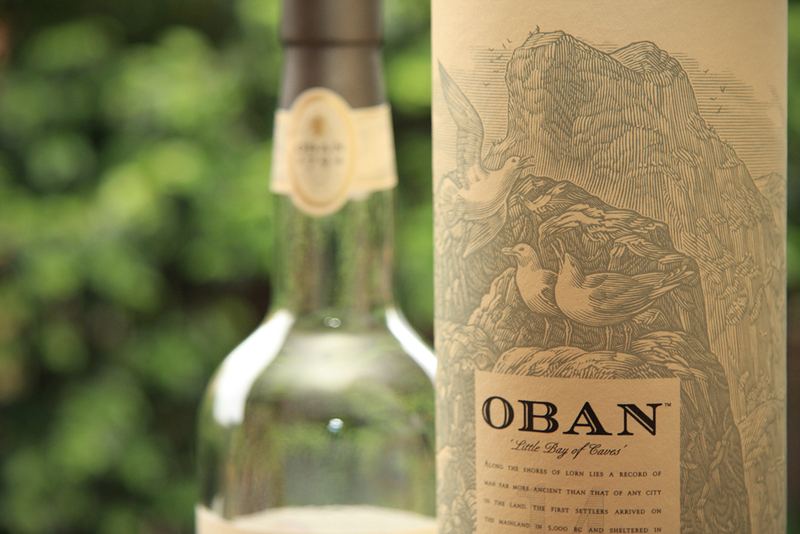 Bet those gulls are fighting over hot chips..
Oban’s core range is pretty small – limited to just the 14 year old and a ‘Distiller’s Edition’, matured in Fino Sherry casks from Montilla in Spain. 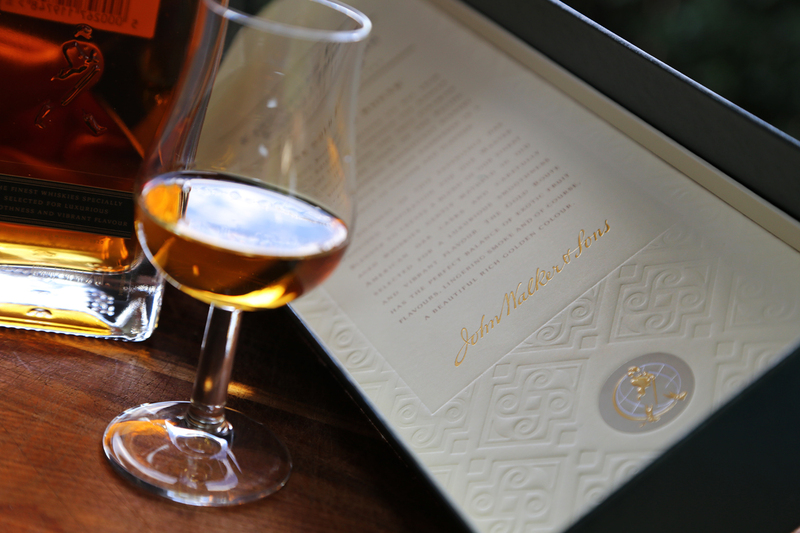 Diageo (owners of Oban) have just released a 21 year old this year as part of their 2013 special release. 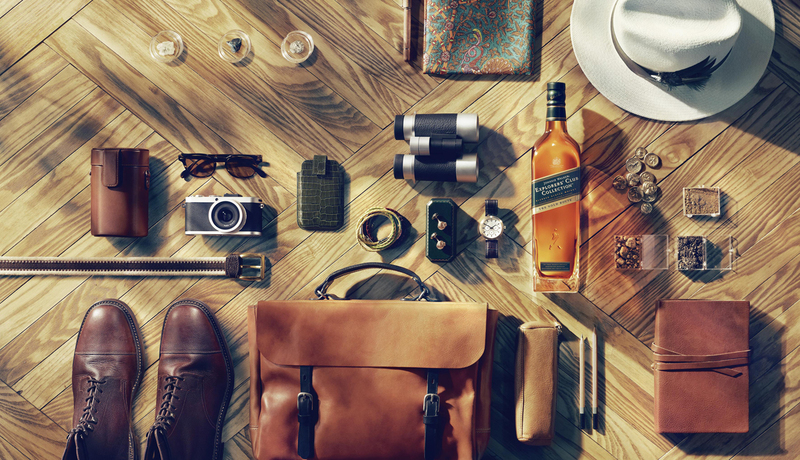 They’ve also previously done an 18 year old for the US market. 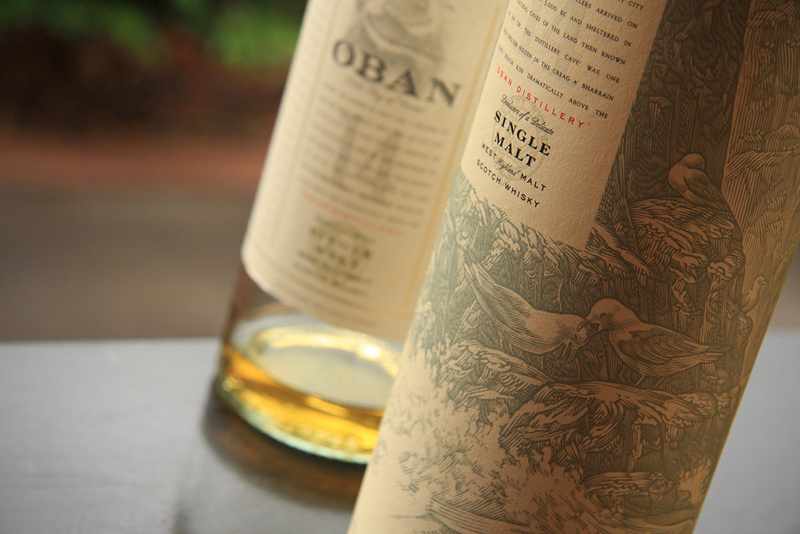 In 1990, Diageo decided that Oban would represent the West Highlands in their Classic Malt range, alongside the likes of some big name distilleries like Talisker and Lagavulin (the logo’s meant to be a Quaich). There’s some sherry-cask sweetness on the nose, not the rich raisin, jam-like sweetness, but a slightly lighter fruity sweetness. 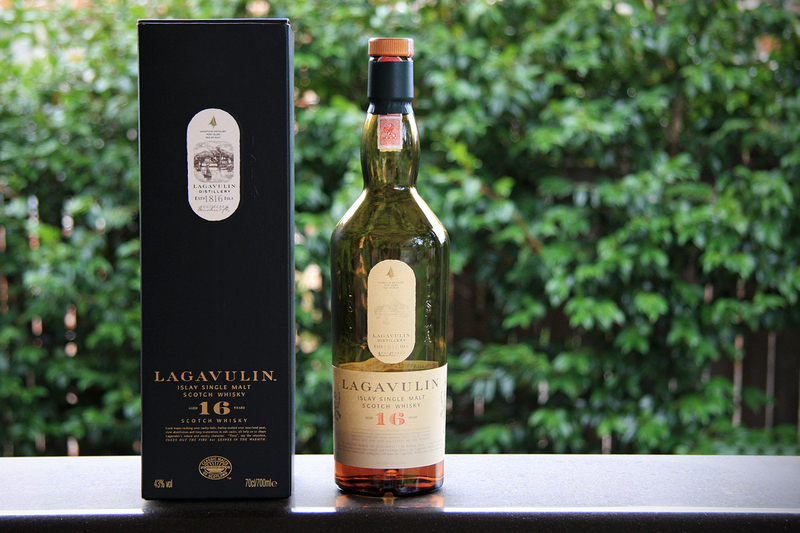 Nicely complemented by some hints of spice and wood smoke at the back – pretty inviting nose. The first thing I notice is that it has a fairly thin mouth-feel. 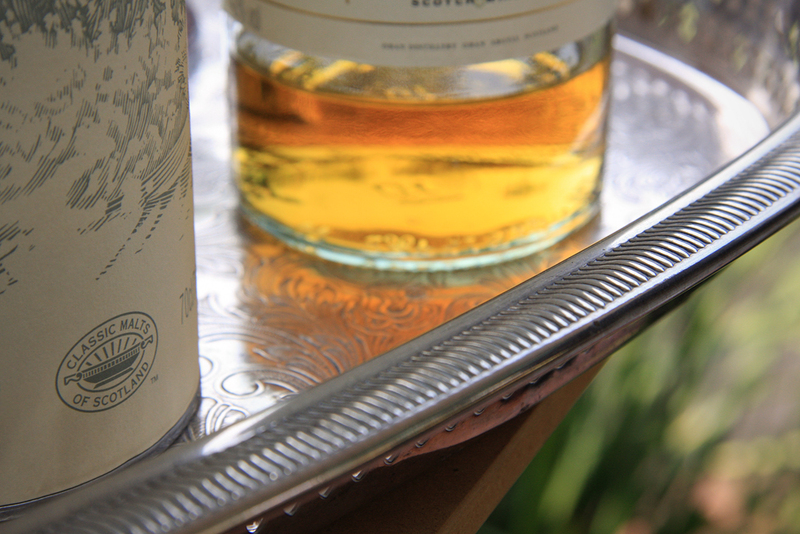 There’s a somewhat odd combination of both sweetness and salty brine on the palate. I guess you could say it’s almost got some sweet and sour characteristics going on there which give way to some gentle back of the throat warmth with the faintest hint of smoke. I’ve seen the finish likened to the finish on a Sauvignon Blanc and I think that’s pretty spot on – fairly short, drying oaky tannins with a hint of spice. The actual flavor seems to disappear pretty quickly, but that coastal brine note sure has some staying power! 11 months since opening and the flavours have really mellowed out. The nose was still great and if anything, it’s sweetened up a lot. But in doing so, it’s really disconnected itself from that salty palate which is a bit of a shame. 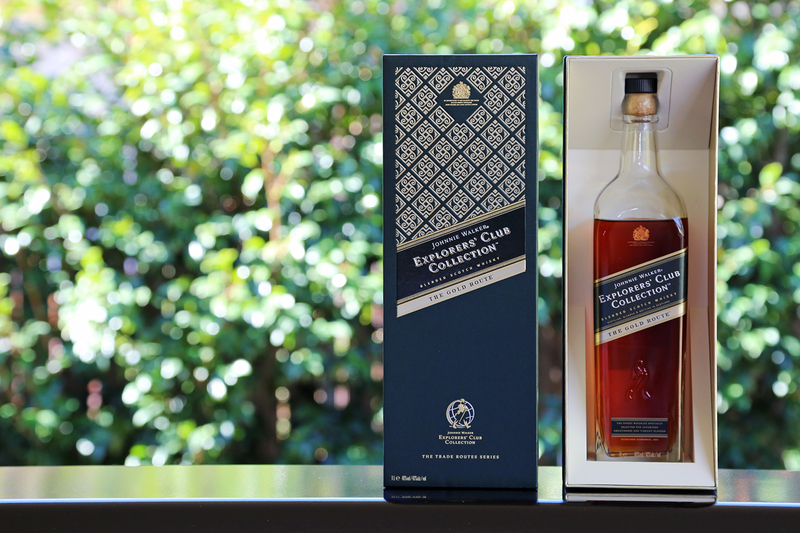 It’s nicely presented, I was a fan of the packaging and labeling and whilst it took a while to warm to this one, in the end I think we got along quite nicely.